Does anyone remember when Micron was promoting its wearable headgear almost 18 years ago? Well, I certainly do. I may be a little rusty on the timing, but otherwise the details are intact. I was so intrigued with their technology vision, at that time, that I actually bought stock in the company. I think that makes me one of the first investors in wearable technology!! 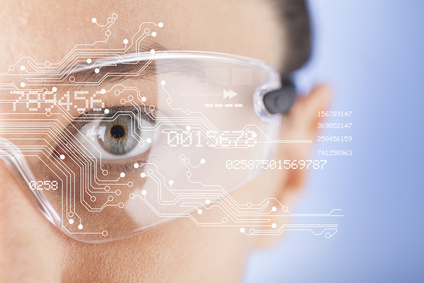 Micron’s vision was of headgear/glasses that could be worn by a person performing a task who also needed to do some research before proceeding with the activity. As an example, they described a physician performing surgery. The surgeon would be able to research viable options for issues that arose during the actual surgery. Need to brush up on preoperative complications while you’re working on a 52-year old male? Hold on!! I’ll look it up. Ok, so the idea was more at the concept level, but I was very hopeful and I couldn’t resist. What I’ve realized since that time is that technology can only proceed as quickly as the market’s ability to change human behavior. Although it seems that nearly every new technology has predictions about how it will completely change the way people think and work, that is far from reality. As humans, many of us are highly resistant to change. As an audience, we are not going to change our behavior as readily as the technology vendors would like. For IT job seekers hoping to stay current in their IT career with the latest wearable technologies, I’d recommend not giving up your day job. Wearable tech is happening but the progress is slow – think Google Glasses. This may irritate the Y generation but I know that it will be well worth the wait. The release of Google’s first version was painful for them but they are committed to creating the next version and you just have to know that it will be really cool. If you are brushing up your technical resume, then start looking at the other companies able to make the massive financial investment required for successful products. Intel is the largest semiconductor company in the world and has already started research and development on wearables. Over the last year, their market cap has risen to $160M so they certainly have the dollars to invest. Qualcomm is one of the largest chipmakers in the world and is a big influence in the semiconductor space. They are big promoters of wearables and have the resources to create successful products from the ground up. The real gold nuggets in this industry are the practical applications of the technology. While people may be excited about smartwear and its fashion accessories, the true value of wearable technology will be realized in other more boring yet practical areas, such as utilities. If you really want to be a trendsetter, figure out how your industry can benefit. Wearables can create promising opportunities for operational efficiencies and increased customer satisfaction. Make it your job to pave the way. Jennifer Hay is that rare technical resume writer who actually has IT experience and understands the complexities of working in a technical environment. She goes beyond a standard information gathering process and applies her knowledge of data and information management, business analytics, data science, infrastructures and architectures, software development, project and program management, among other areas to create truly compelling messages. Jennifer is the author of Supercharge Your IT Job Search available through Amazon. She is currently working on her second book about data and information management careers, a collaborative effort with Dave Wells, an thought leader in field of business intelligence and business analytics. This entry was posted in Tips & Articles and tagged IT Professional Resume, IT resumes, Resume Writer, technology resumes. Bookmark the permalink.